-- from poetry by Paulann Petersen (Oregon's poet laureate), in Alfred Edelman: Urban Compositions, photos by Alfred Edelman, essay by Kathleen Dean Moore, published by Pacific Northwest College of Arts. Edelman was a Portland-based architect, photographer, and founder of Hotlips Pizza (yummmmmmmmm). 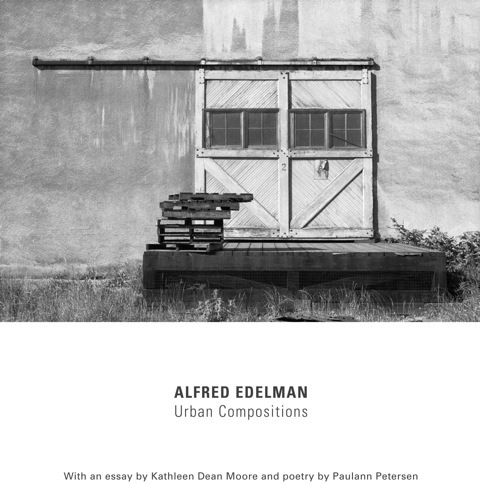 This beautiful books features Edelman's photographs of urban fragments, coupled with Peterson's poems. It is lovely. 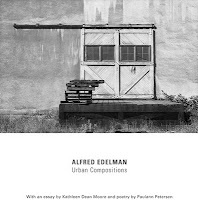 Urban Compositions is available at The Gallery at Museum of Contemporary Craft in Portland (or on line), Broadway Books, or directly from Jeana Edelman. How fascinating! And what a beautiful poem. Thanks for sharing. My teaser is here. Julie: It is a beautiful book! Thanks for sharing your link. Oh wow, I haven't read any poetry since I was high-school, but that teaser really struck me. Thanks for the unique teaser!